PES University Placement Report 2017 - PES University, Bangalore has completed its final placements for the 2015-17 MBA batch. The Consulting sector was the highest recruiting sector this year while Investment came out as the highest recruiting domain. A total of 221 students participated in the placement process. More than a dozen first-time recruiters made their presence at the campus. The highest package offered was Rs. 8 lakhs per annum. Let’s have a look at all the figures of the placement process at PES University. Some major companies participated in the placement process were Oracle, Bosch, Amazon, Genpact, Deloitte, Morgan Stanley etc. Oracle made the maximum number of offers out of all the companies present at the campus for the placements. Below given are the highlights of the placements. 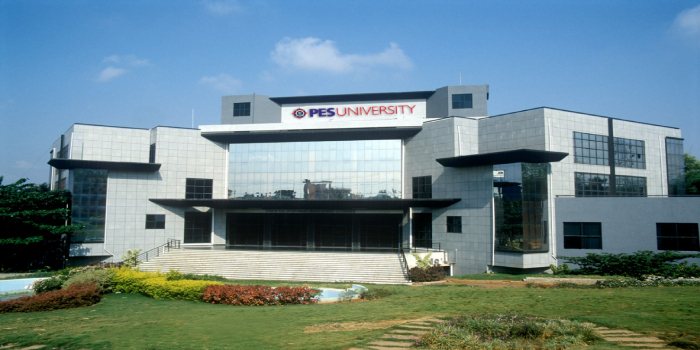 PES is a private University located in Bangalore, Karnataka. Established in 1972, the University offers programmes in Management, Medicine, Engineering and Life Sciences. Both Under-Graduate and Post-graduate programmes are offered by the University. PESSAT – PES Scholastic Aptitude Test is an online test conducted by the Unievrsity for admissions. Every candidate who wishes to study here need to appear for PESSAT. Eligibility criteria is different for different programmes. Hello sir my name is vikram s. Bhat my dob is 25.09.2001. I want to know my registration number. Ibs pune or Imis Bhubaneswar or pes university or Christ university, which one is best. How to get Direct admission in PES University 2019 ? Your PES University, Bangalore brochure has been successfully mailed to your registered email id .